What is sweet, spicy and succulent? My pan-fried Honey Garlic Shrimp, of course. 5 ingredients, 10 minutes to heaven on a plate! This is a great recipe for a quick weeknight dinner at home. It is light, fast and easy to prepare. I always have a bag of frozen shrimp (raw, deveined, 21 – 25 count) in my freezer for those times when I need to cook on the fly. It takes about 30 minutes to thaw them in running cool water, and a total of ten minutes to cook. OK, I added a sixth ingredient – red pepper flakes – just because I like it a bit spicy. Serve it with sticky brown rice and grilled pineapple rings. 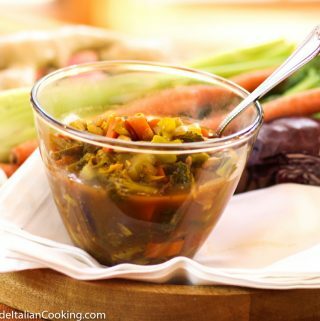 Shout out to Farah at TheCookingJar for the inspiration on this popular recipe. 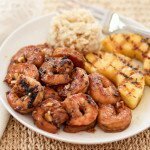 Honey Garlic Shrimp is sweet, spicy and succulent. This is a great recipe for a quick weeknight dinner at home. It is light, fast and easy to prepare. I always have a bag of frozen shrimp (raw, deveined, 21 - 25 count) in my freezer for those times when I need to cook on the fly. It takes about 30 minutes to thaw them in running cool water, and a total of ten minutes to cook. 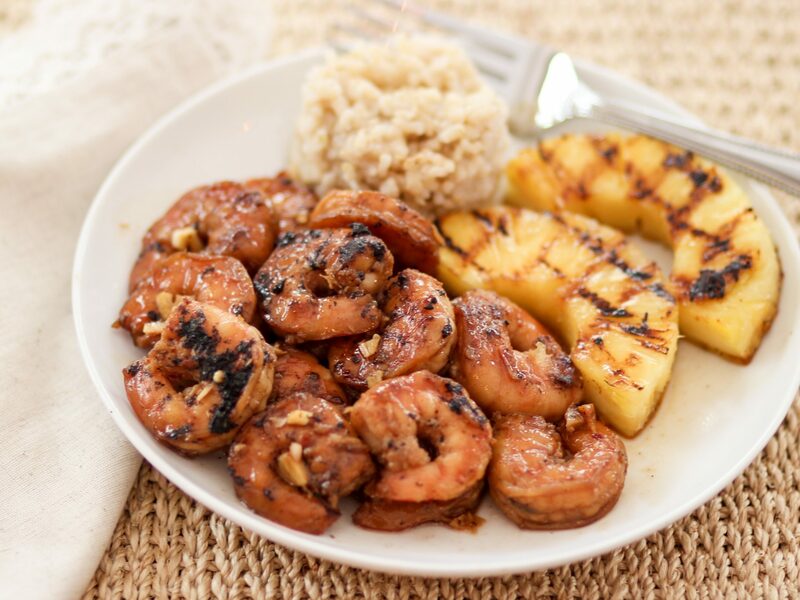 Serve it with sticky brown rice and grilled pineapple rings. Thaw the shrimp in cool water for about 30 minutes. Remove the tail from each shrimp if it is still on. Once thawed, drain the shrimp and pat dry. Place in a glass bowl. Coat the inside of a glass measuring cup or bowl with oil. This makes pouring out the honey easier. Add the rest of the ingredients to the measuring cup and whisk until well mixed. Pour half the sauce over the shrimp and let sit for 5 minutes. It can marinate for up to an hour. Add 1 tablespoon peanut oil to a large cast iron pan or stainless steel skillet. Fry the shrimp over medium high heat until caramelized on both sides. Do not overcook the shrimp. It only takes a 2-3 minutes per side for the shrimp to cook. Cook in batches if needed. Watch closely so the honey does not burn. Remove the shrimp to a warm dish and drizzle the rest of the sauce over the cooked shrimp.